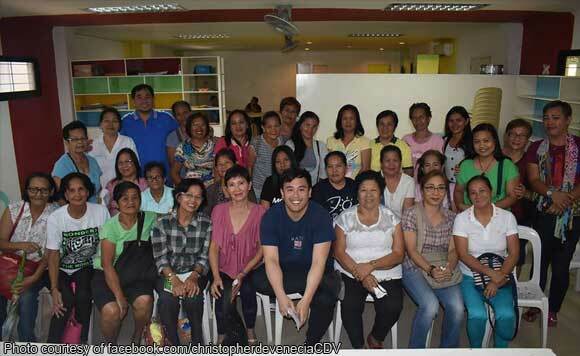 Pangasinan 4th District Representative Christopher de Venecia commends the barangay health workers of Dagupan City for their dedication to serving the community on Wednesday, April 19. The Pangasinan politiko held a consultation with the barangay health workers to familiarize himself with their concerns. Among the issues raised were the security of tenure and the payment of different amounts as honoraria. Some of the health workers said they receive as little as P1,500 a month. De Venecia also commended the health workers’ spirit of volunteerism and for being the frontliners in carrying out basic health services to the public.